It was a Sunday afternoon in San Francisco when 32-year-old Matthew Hoffman approached police officers and started asking questions about the weapons they were carrying. Later that evening, police noticed Hoffman loitering around a restricted parking lot with his hands in his pockets. When they asked him to take his hands out of his pockets, he pulled out what appeared to be a pistol and aimed it at police. Fearing for their safety, and following standard protocol, the cops immediately fired 10 rounds at the man. Hoffman died that evening in hospital. Sadly, Hoffman’s story is not uncommon. 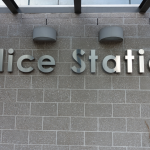 In what appears to be a growing phenomenon dubbed ‘suicide by cop,’ mentally ill persons are increasingly provoking a reaction from police in order to end their own lives. The act normally involves a direct threat towards police – usually with a weapon or replica weapon – in order to instigate a fatal response. Studies suggest that the instigators often have underlying mental health conditions which motivate them to orchestrate situations like the one described above – or alternatively, they may be spooked or scared into provoking police during the climax of a confrontation when they decide that they would rather be killed than arrested. 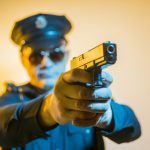 A 2009 US study which examined 707 fatal police shootings between 1998 and 2006 found that over a third of all shootings could be described as ‘suicide by cop.’ It based this finding on police reports, witness statements, photographs, video footage and other evidence. Prominent criminal barrister Ian Freckelton SC, who represented Victorian police in the Coroner’s court, argued that Cassidy’s actions in confronting police armed with knives indicated that he knew what he was getting himself into. However, Cassidy’s family dismissed that suggestion, adding that while Cassidy was angry, he was not suffering from a mental illness. Better Training to Deal With Sufferers of Mental Health Conditions? These kinds of incidents, coupled with a sharp spike in the number of fatal police shootings in recent years, have ignited calls for better police training to deal with those suffering from mental health conditions. Earlier this year, 22-year-old Courtney Topic was shot dead by police outside a Hungry Jack’s in West Hoxton after she was wandering along a roadway holding a drink and a large kitchen knife. It was later revealed that she suffered from Asperger’s syndrome and was in the midst of a ‘meltdown.’ Experts say that her condition may have affected her ability to understand police orders for her to drop the weapon. 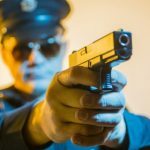 These kinds of situations present police with a paradoxical situation – on the one hand, it is often impossible to ascertain whether someone has a mental illness, or if they pose a real threat, or even if the weapon they are wielding is real. 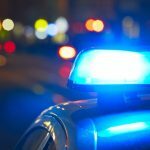 In the height of these situations, police tend to err on the side of caution and treat these threats as posing a very real danger to officers and members of the public. But on the flip side, mental health advocates say that more could be done to attempt to diffuse these situations before resorting to lethal force. It is estimated that around half of all persons involved in fatal police shootings suffer from mental illnesses – yet 90% of frontline police officers report never having received any training on how to deal with those who suffer from mental health conditions. Last year, NSW Police introduced new measures to better prepare officers for confrontations with those who suffer from mental health conditions. The measures will see 13,500 officers in the force undertaking a one-day training course run by four officers and two mental health nurses. Following the rollout of the program, the team will begin training new recruits at the police academy in Goulburn. However, with police responding to over 40,000 mental health related incidents in 2013 – a figure which experts say is rising each year – some have argued that more rigorous training is needed to equip police with the necessary skills to deal with those who suffer from mental health conditions.